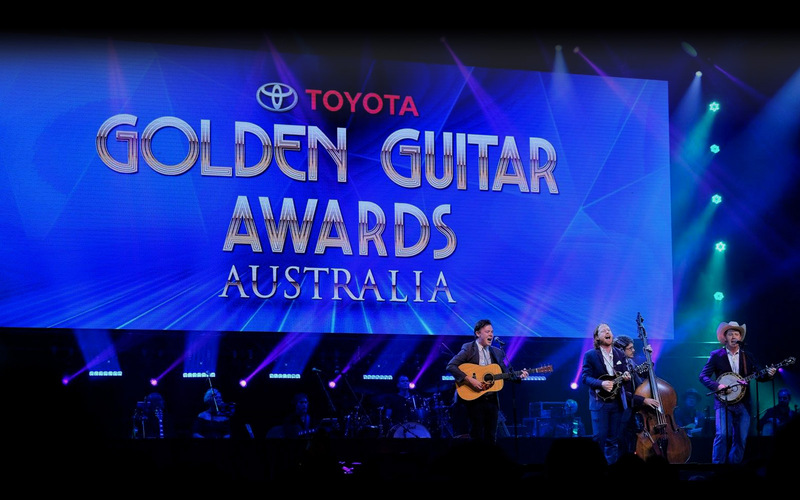 The Country Music Awards of Australia (the Toyota Golden Guitar Awards) recognise, celebrate and honour excellence and outstanding achievement in Australian country music. The Awards presentations are accompanied by a star-studded gala concert featuring outstanding Australian country music and some of our newest rising stars. The Country Music Awards of Australia is the nation's longest running music awards concert and the pinnacle event of the Tamworth Country Music Festival. The Awards were first held in 1973, around the same time that the city of Tamworth became known as Australia's Home of Country Music. Since they began the Awards have played the key role in developing and promoting Australian country music. Under the guidance of the CMAA, the awards continue to grow and develop, reflecting the current country music scene in Australia. Originally, the Awards were staged in the historic Tamworth Town Hall with a capacity audience of around 1,000. Over the years, the Awards venue has ranged from school halls to a giant 'big top' and a converted factory. Since 1999, they have been presented each year at the Tamworth Regional Entertainment & Conference Centre (TRECC) in front of an audience of 5,000 fans, artists, industry professionals and visitors. Back in 1972, 2TM‘s Mr Hoedown, John Minson and 2TM Station Manager, Max Ellis agreed that the country music awards trophy should be "rock solid and truly representative of country music". After deciding on the concept of a bronze guitar, local artist Harry Frost was commissioned to produce a detailed design based on a semi cut-away, dual pick-up, hollow-bodied guitar - in recognition of both traditional design and the modern, amplified electric guitar. The trophies stand 24cm tall and weigh 1.5kgs. In the early years, country music legend John Minson personally prepared each and every Golden Guitar; grinding, smoothing and polishing the rough casts and mounting them on their carefully finished bases. Today the famous Golden Guitar trophy is recognised all over the nation as a symbol of country music and Tamworth.